As a gardener, sometimes, you will notice plants that are cut above the rest—they resist pest better, they thrive more in the conditions of your garden and their yield is better in terms of quantity and quality than other similar plants in your garden. Cloning techniques allow us to create exact copies of such a plant taking advantages of its superior and seemingly unique genetics. Of the cloning techniques for plants, the easiest, hence the most common, among gardeners is the use of cuttings. 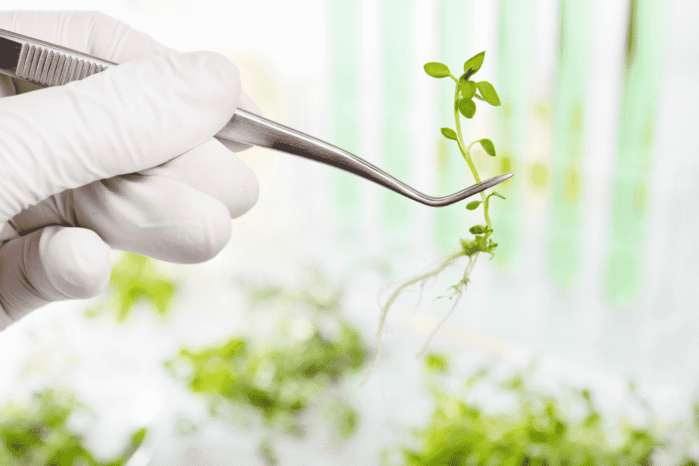 Although there are a number of tools, including the hormones that you can apply to the end of the cutting, to aid one in cloning plants, the task remains tedious and the result unpredictable due to the need to keep the conditions, up to the minute details, consistent and within the ideal bounds. An effective method of making many clones easier is with the use of cloning machines. The best cloning machines are designed to be efficient with its resources. On top of it, these machines automate the whole task of maintaining the conditions within the ideal bounds. Retails less heat with its evaporative cooling technology. For the editor’s pick, we pick the Clone King. Its royal name says it all. 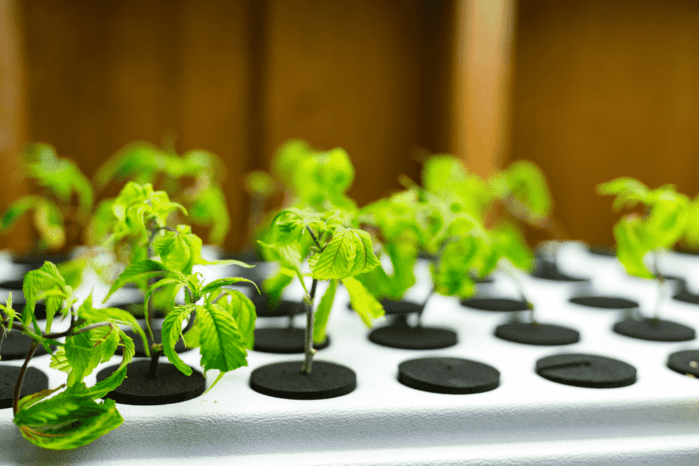 The king of the plant cloning industry has mastered the craft with its state-of-the-art design employing reservoir, lid, submersible pump, spray manifold with misters, and a handful of inserts. Cloning with Clone King also is simple and straightforward because it comes with an easy-to-follow detailed instruction. Clone King also sports 13 spray heads that will cover a large area that has never been matched with other cloning machines of this size. Spray heads are essential for delivering water, oxygen, and nutrients to the cuttings. In addition, Clone King is perfect for organic farming. The system contains no hormones and chemicals. Full coverage. The coverage of the 13 spray heads is unmatched by other cloning machines of the same size. Organic. The machine promises excellent results without the use of synthetic chemicals and hormones. Comes in three variants: 24 sites, 36 sites, and 64 sites. Lighting is not included. You need to buy a separate hardware for the lighting. Durability issues. The material used could be improved for durability. Low chances of rooting. Its penchant for all-natural materials comes at the expense of performance. Without hormones and chemicals, the tip of the cuttings is not protected from infection and not stimulated to grow roots. EZ Clone Classics make for what Clone King lack in durability. Not only is the material of choice for the machine a UV-protected high-density polyethylene, the design was also deliberately made low to increase its durability. Although plants require sunlight to grow, cuttings are injuries in plants for which the normal protective mechanisms cannot work. Thus, cuttings are sensitive to the ionizing power of ultraviolet rays. EZ clone made sure that the cuttings are protected from such damage while the roots are growing. Not allowing the UV rays to penetrate means that some low energy rays from the sun, even the thermal energy of the sunlight, are deflected. Thus, the insides of the cloning machine remain at the ideal temperature. In addition, the lip height of the reservoir is increased while the drainage and flange gutters are extended to achieve a leak-proof design. Durable. The material used and the design makes EZ Clone Classics one of the sturdiest clone machines in the market. UV resistant. The material of the machine protects cuttings from UV damage. Easy setup. All one needs is to add plant clippings and water. Quite. The machine operates at a whisper level of noise. If you listen closely, however, you will hear droplets of water falling like that of the noise of the rain. Problem with pumps. Although rare, some users report having problems with the pumps not working according to expectations. With TurboKlone, you can have as much as 144 cuttings in one machine. This feature will serve best those who wants to have more clones in a short period. Although not a serious thing, water loss, through transpiration is one of the things one needs to look out for while cloning. One can easily put up a cloning setup. However, the success of the cloning process cannot easily be achieved. Water loss is among the common factors gardeners overlook. TurboKlone removes the need to prune large leaves to prevent water loss through its humidity dome. Leaves help the plant create and store food through photosynthesis. Retaining the leaves supports speedy and healthy root growth. In addition, the submersible pump/manifold produces a fine spray of oxygen and water. TurboKlone also has round corners that increase durability and makes cleaning easy. Humidity dome preserves moisture and water within the plants. Submersible Pump/Manifold introduces a continuous fine spray of oxygen and water. Has up to 60% more sites than other machines. TurboKlone offers 24, 48, 96, and 144 sites. This machine is ideal for those who like to clone in large batches. Durable and easy to clean. The round edges make the machine more resilient against damage and make it easy to clean. Operation instructions are limited. If you are going to use TurboKlone, you need to equip yourself with information by researching first. Uneven distribution of spray. Some positions remain dry even after some reorientation of the manifold. If you prefer a simpler machine and plans to clone 20 or fewer plants at a time, then the oxyClone 20 is for you. OxyClone boasts of their Active Aqua premium pumps that are sure to deliver excellent results. OxyCLONE also has evaporative cooling that minimizes retained heat. This increases the chances of plants surviving and developing roots. High temperature makes the roots look grey or brown and increases the chances of rotting. In addition, it is made out of food-grade plastic that is free of BPA. Guaranteed not to clog or leak. The machine is made of food-grade plastic that is free of BPA. Design and functions ensures maximum oxygenation. Evaporative cooling minimizes retained heat. Active Aqua premium pumps guarantees seamless performance. Low rooting chances. Users report having difficulty getting the plants to root despite best efforts. The instruction manual is not clear. Fast Roots Cloners is best for cloning small batches of plants as it only has seven sites. However, small cloners like this one are efficient. Fast Roots Cloners delivers results with only 3 watts operational power. This machine’s small size allows portability thus with Fast Roots Cloners, you can clone indoors protecting the plants from harsh weather and environmental conditions. Affordable. This machine is the cheapest on this list. Perfect for beginners. Its small size and simple design make it easy to operate. Beginners can start with this cloner and advance to more sophisticated and bigger ones later. Efficient. Operates at 3 watts. Durability issues. The machine is not that durable. The weakest component is the humidity dome. You might want to handle the machine carefully. In order to ensure best results, you need to select a cloning machine that has a design suitable for your plants and is easy for you to operate. Certain factors separate a good one from a regular one. Here are some things to look out for in selecting the best cloning machine. In selecting a cloning machine, you have to consider how long you are going to use the product. Is it a one-time cloning activity? Alternatively, do you intend to clone more? If you intend to clone more in the future, you need to consider buying durable machines. The drawback, however, is that the higher the quality of the material for your machine is, the higher the price, as well. Another area of concern is the use of BPA-free plastic. Bisphenol A (BPA) is an ingredient in most plastic materials that have hazardous effects on the environment, plant and even on users. Cuttings can easily root if there are no factors hindering it. Pathogens, harmful chemicals (like BPA) and ultraviolet rays can damage the cuttings and delay or prevent the growth of roots. If you intend to place the machine outside to expose it to sunlight (as it is an important component for plant growth), you have to ensure that the delicate endings of the cuttings inside the machine should be protected against UV rays. Materials that repel UV rays and prevent it from entering the machine are usually thick and either black or white. Of the two, white is more effective in protecting the insides from harmful UV rays. Thick plastic or material prevents UV rays from penetrating as opposed to thin ones. Color in the material helps plastic either absorb or repel the rays. Black absorbs UV rays while white repels it. Transparent materials, however thick, can allow UV rays to penetrate the insides of the machine. Some machines, like the TurboKlone and Clone King, have models that vary in the number of sites. TurboKlone, for instance, is available at 24 and up to 144 sites while Clone King is available at 25-64 sites. If you are into producing many clones at a time, you need machines that have a sufficient number of sites according to your needs. Some models have fixed number of sites. If you choose them while wanting to produce many clones, you will need to buy more machines which may not be cost-effective. Buying one machine with lots of cloning sites saves money from purchase and operation costs. Cloning machines need to deliver water and oxygen to the cuttings in order to facilitate root growth. In addition, roots absorb water, oxygen, and nutrients for plant growth. These are delivered to the plant by pumps. Mostly, the automated operation of cloning machines, which is the primary reason for your purchase (i.e. to automate cloning plants), is due to the performance of the pump. A weak or inefficient pump is detrimental to your cloning activity. A poor-performing pump is a waste of time, money, energy and your precious cuttings. On the other hand, smaller cloning machines need not a strong pump. Small size and space do not require as much operating power as larger machines. This is where efficiency—performance over power consumption—enters the picture. Efficient machines, machines operating at low power, are less noisy and provide a near-natural environment to plants, which supports and encourages plant growth. Although an instruction guide comes with cloning machines, especially those listed in this review, a common problem among plant cloners is the lack of detailed, easy-to-follow, and comprehensive cloning guide. Thus, this guide is designed to provide you with the basic information on how to clone plant including what you need to do with the machine. First, fill the machine up with water and attach the pump and mister. One of the most common mistakes of gardeners is mixing in the nutrient mixture. Remember that, while nutrient mixture will be necessary for the entire process of cloning, initially it will not be. Plants need roots to absorb nutrients. Without roots, the nutrients will only serve as an irritant to the cutting. It may either harm the cutting and prevent the roots from coming out or it may feed pathogens that will rot your cuttings out. Either way, a nutrient mixture added to the water will only do more harm than good. Also, run the machine to check whether the mister is covering a significant surface area of the lid or not. One of the most important components of a cloning environment is the humidity. Normally, plants can regulate the number of fluids inside its body. It can counter the water loss through transpiration by getting water from the soil or any medium through its roots. Cuttings, however, are yet to develop roots. In addition, the cut area losses water as it is exposed to the environment. Even cuttings still transpire so expect water loss through transpiration, as well. Ensure that your environment has more than 60% humidity. You can measure the humidity of your environment through a sensor. If the humidity is less than 60%, you can mist the area or place a humidity dome over your plants. Some machines have built-in humidity domes. In this review, TurboKlone and Fast Roots have built-in humidity domes to prevent water loss. Another thing to consider in your cloning environment is the light. Although you can expose them to daylight or sunlight, you risk the chance of wilting your plants. Heat can exhaust and dehydrate your cuttings. A safe alternative to sunlight would be T5 grow lights. They are non-ionizing and less harsh on cuttings than sunlight. First, prepare your cuttings. Using a sharp knife, scissors or scalpel, locate and remove a healthy looking branch with one growth tip. A growth tip is where the shoot and new leaves emerge. Remove and cut on the branch cleanly. The cleaner the cut is, the lesser the chances of disease for your plants will be. You can do a clean cut only with a very sharp tool. Make sure that you sharpen your scalpel, knife, or scissors first. Some gardeners cut their plants at a 45-degree angle to maximize the surface area for the growth stimulators. However, as you increase the surface area of the cut, you also increase the risk for the disease. The ideal cut would be a quarter cut. Remove excessive foliage. Although leaves help the plant generate food, it also consumes energy. You want to conserve as much energy as possible to ensure that your cuttings have enough energy to grow roots. In addition, foliage crowds your machine. You will need a manageable cloning machine to make the process easier. Ideal cutting height ranges from three to 5 inches. Make sure that the branch with growth tip is within this distance. The next step is to dip the cuttings into your rooting stimulator. If you prefer not to use synthetic compounds, you may skip this step. Doing so, however, decreases the chances of rooting. In dipping the cut tip of your plants, make sure that you transfer a reasonable amount in a separate container first and dip your plants there. Dipping your plants straight into the container of the growth stimulator contaminates the entire produce rendering it unusable the next time. Lastly, place the cuttings in your cloning machine and turn the machine on. The secret to ensuring the success of your cloning is to finish the process as fast as possible. The soonest you can cut, dip to growth stimulator, place in the machine and start the machine, the larger the chance of success is. The first thing you will notice is your plants getting a bit wilted or droopy. Do not worry. It is usual for plants to be in such a state the first few hours. They recover soon after. If they continue to be in such a state, then it is time to mist or spray them with water a bit. Although it depends on what type of plants you have, plants tend to develop roots after 2 days. During the first two days, you will notice growths on the tip of the cuttings. The health of the roots can be assessed through their color. Bright white roots (or growths) are healthy ones. If the roots are brown or grey, it signals high water temperature. Reduce the temperature of your water in the machine. After two days, reset your reservoir. This time, you are required to include nutrient mixtures in your water in small amounts. Although the roots are just beginning to grow, they are already able to absorb water and nutrients. After a week, expect many roots from your cutting. You may be tempted to think that, because of the appearance of the roots, they are ready, and the cloning process is done. This is not the case, however. Although you can transplant early at this stage, the success of the plant surviving is still low. You need to wait for secondary roots. Secondary roots sprout after 10 days for some plants. When secondary roots (or roots that branch out from the main roots) appear, it signals that the plants are ready to be transplanted. The chances of replicating and reproducing plants that are genetically superior with others cannot be passed up especially in this age of discoveries and innovation. The best way to ensure that you get to reproduce those is with the use of cloning machine. Price and feature wise, the Clone King is the most practical, hence, our editor’s pick in this review. It’s state-of-the-art design ensures full coverage, durability, and seamless performance. Choosing one, however, is not an easy process. You have to consider factors as plant type, portability (if you want to move the machine around to protect it from weather changes), durability, number of sites, the absence of harmful chemicals and protection against UV rays should be considered. On top of that, the more features you want your machine to have, the pricier it gets, as well. The cloning machines featured in this review are among the most popular and well-reviewed in and out of Amazon. Clone King, the best so far for us, is best for cloning enthusiasts who know enough to clone a plant even without a machine. Beginners, however, can fail during their first few attempts. For cloning with a small number of cuttings, EZ Clone Classic is another machine to consider. It is small enough to be easily movable yet durable and easy to clean. Please visit us for more reviews like this. If you liked our review or have some questions, please leave them in the comment section below.